Keep it sweet with this golden statement ring! 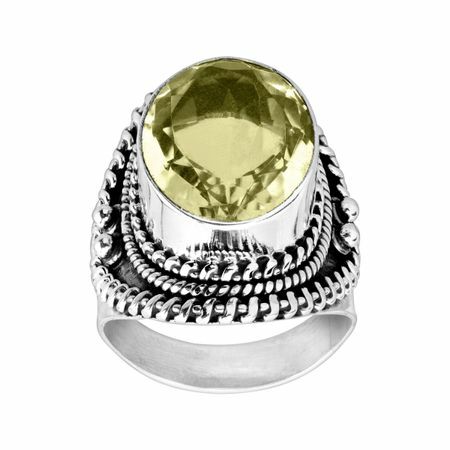 A natural lemon quartz is bezel-set among beaded rings of sterling silver that will perfectly complement your bold style. Ring face measures 5/16 inches in width. Piece comes with a “.925” sterling silver quality stamp as a symbol of guaranteed product quality.